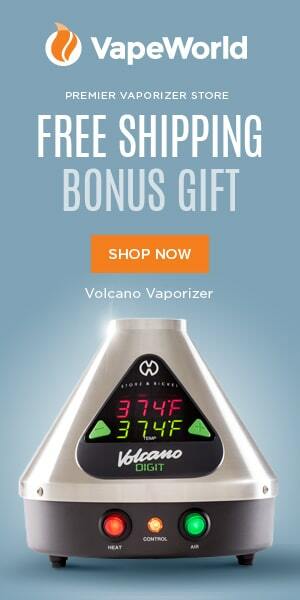 We have clearly established that the Volcano is one of the best desktop vaporizers out there. While it’s super-efficient, you’re still left with some herb after each session. It seems like a total waste to just toss those leftovers in the trash. Here’s the good news: you don’t have to waste your post-vape herb. Let’s talk about ABV and how to make delicious weed butter with it. It’s the dried, leftover herb after vaping. If you’ve been tossing out your leftover weed, you’ve been missing out. Did you know that 20-50% of the cannabinoids that were in the original material remain in the ABV herb? Unlike with smoking, which burns the herb and leaves nothing behind, you can still make use of the dried weed. Unless your ABV is super dark, you can use it to make edibles. Some people smoke their ABV, but you might get mixed results if you go this route. The simplest way to use your ABV is to eat it. Add it to food, or just eat it straight up. Some people add it to their smoothies and sandwiches. A firecracker. Sprinkle ABV on top of Nutella, spread it on graham crackers, wrap it up in aluminum foil, and then heat it in the oven. Pot pizza. Just sprinkle ABV on top of your pizza. You can even do this in public because it looks like oregano. And if you heat the pizza in the oven or microwave, it gets infused with THC. 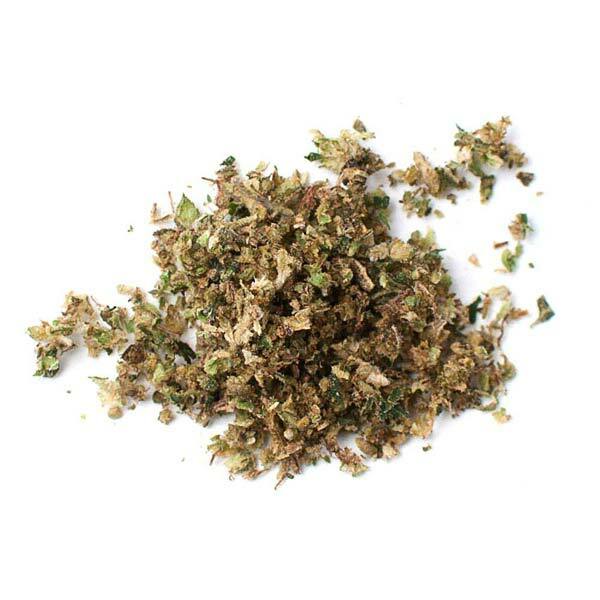 ABV has a pretty distinct taste – a toasted cannabis-like flavor and smell. Some people like the taste; others don’t. If the flavor is a bit too much, you can always try water curing to tone down the flavor without affecting the potency of the herb. If you use any type of oil when cooking or baking, you can kick things up a notch by infusing your oil with ABV. Making the oil is really simple. It just takes some time. Add about 14g of ABV to about 1 liter of your preferred cooking oil. You’ll also need a mesh strainer. Just add your oil of choice to a large saucepan, add your ABV to the mix, and allow it to cook for 1-4 hours. You’ll need to keep the temperature low to avoid burning the oil. Keep in mind that some oils – like olive – have lower smoke points and will burn more easily. Once you’ve finished making the oil, you can use it however you want. Use it to cook dinner, bake cookies, make salad dressing – whatever you please. It’s easy to make ABV edibles with cannaoil. Butter’s natural flavor also pairs well with weed, so it’s much easier to eat. Another way to eat your ABV is by making capsules, or weed pills. Just fill empty gel capsules with your leftover bud, and take them like you would any other pill. Whether you choose to make cannaoil, weed butter or just add ABV to your food, please remember to take it slow. It takes a while for it to hit you, but if you eat too much too quickly, that hit could be hard. Start with a low dose until you figure out how much you can tolerate. How Do You Make Weed Butter from ABV? 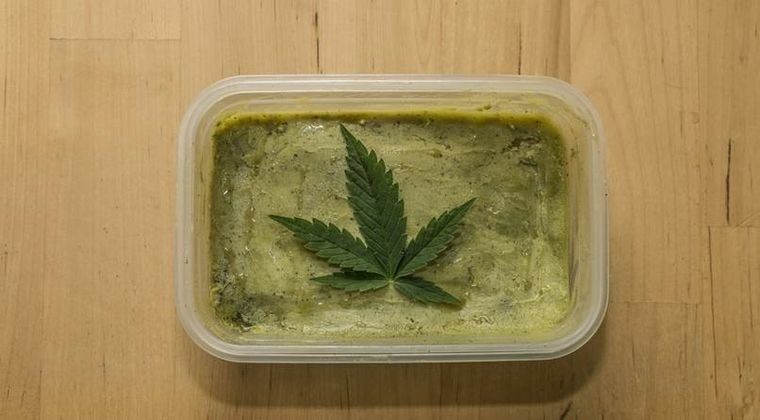 You’ve decided to use the leftover weed from your Volcano to make cannabutter, but you don’t know how to get started or how the process works. Let’s shed a little light on the subject. Here’s how to make ABV butter. The process is actually very similar to making cannaoil. For this recipe, you’ll need 1/2 cup of butter and 1/4 oz. ABV, finely ground. Start by melting the butter in a saucepan on low heat. We only want to melt the butter – not cook it off. Once the butter has melted, it’s time to add the ground ABV bud. Allow the mixture to cook on low for 45 minutes. Stir occasionally, and keep an eye on the mixture to make sure it doesn’t burn. Next, strain the butter into your container of choice (glass is best). Push the herb against the strainer with the back of the spoon to extract as much butter as possible. Once you’re done straining, you can toss the leftover bud in the trash. The butter can be used immediately, or you can put it back in the refrigerator for later. You can also freeze it if you want to keep it really fresh. You can scale this recipe if you want. If you have one ounce of ABV herb, then you’ll need about a pound of butter. Just keep in mind that you’ll need to simmer for longer if you’re using more herb and butter. It can take up to an hour to infuse an ounce of herb into a pound of butter. Feel free to use your butter any way you please. Toast with cannabutter is a great way to start off the day. What Is the Best Temperature for The Volcano?